Waitrose will stream a live ad from one of its dairy farms this week to show customers where their food comes from. The "spring" campaign, created by Adam & Eve/DDB, will see a cow being fitted with a Go Pro camera from the farm in Newbury on Friday 15 April. Manning Gottlieb OMD is handling the media. The supermarket chain wants the campaign to reassure customers about the quality of its food by showing how well animals are treated. Waitrose says it is the only food retailer that can guarantee all cows that provide milk and cream have access to grazing. Two 10-second teasers, featuring cows and chickens, launched last night. 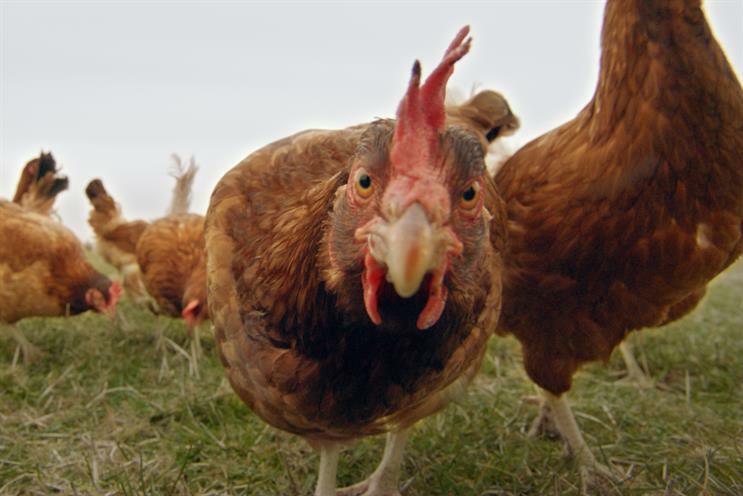 Waitrose will record another ad from one of its free-range hen farms near Marlborough and air it on the same day for TV. It is the first time a UK food retailer has streamed same day live content in its advertising. Live stream footage will also feature in outdoor advertising for the campaign at major train stations, showing three different locations at the Waitrose Leckford Farm in Hampshire, including beehives, rapeseed and views of the countryside. There will also be a masthead takeover of YouTube’s website on Monday 18 April and a print campaign that will only use images of Waitrose farms that have been taken within 24 hours of publication (with the exception of The Scotsman and The Herald). Adam & Eve/DDB’s Miles Carter and Sophie Knox have written and art directed the ads, which are being directed by Wilkins & Maguire through Stink. Rupert Thomas, the marketing director at Waitrose, said: "We've always been proud of where our food comes from, and the care and commitment our farmers and suppliers put into producing it. "We have never compromised on quality, and never will – but rather than telling customers what we do, we've decided to show them."